In this two-part series, IPS examines how a major donor to the Republican Party, Paul Singer, is using a lobbying firm run by Democrats to tar the government of Argentina as an increasingly lawless and anti-American ally of Iran. In the second part, we report how a network of think tanks, politicians and pundits with financial and personal ties to Singer are amplifying this campaign, which comes as Singer is engaged in a legal battle with Argentina over a decade-old debt that could make him hundreds of millions of dollars. 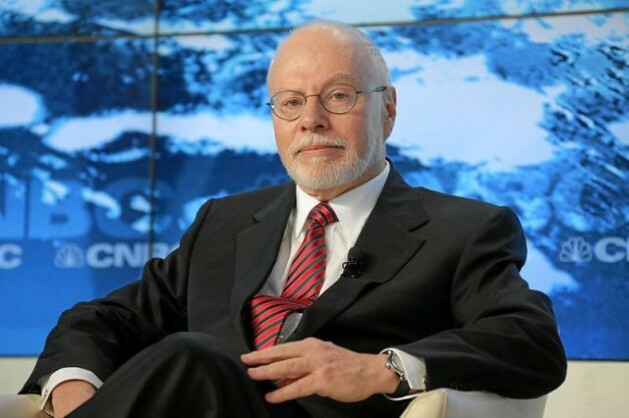 LOS ANGELES, Jul 31 2013 (IPS) - Vulture capitalist Paul Singer has hundreds of millions of dollars at stake in his legal battle with Argentina over the country’s 2001 debt default. One way he has done this is by issuing press releases through the American Task Force Argentina (ATFA), a trade group he helped found, and buying full-page ads in major newspapers. On Jul. 15, Kristol's The Weekly Standard published a piece by former Bush administration ambassador to Costa Rica, Jaime Daremblum, entitled “The Iranian Threat in Latin America,” in which Daremblum warned that the Islamic Republic has built an extensive intelligence operation throughout Latin America in order to commit acts of terrorism and “spread Iran's revolution across the hemisphere". Daremblum is a senior fellow at the Hudson Institute, another right-wing think tank where in 2011 Singer was invited to deliver remarks on the meaning of “true Americanism". Joel Winton, a former personal assistant to Hudson president Kenneth Weinstein, now works for Singer in his family office. Giving money to politicians is another way to affect the debate in the United States. Senator Mark Kirk, an Illinois Republican, has been a vocal critic of Argentina, writing a letter to the country’s president denouncing her agreement with Iran to investigate the the 1994 bombing of the Asociación Mutual Israelita Argentina (AMIA) in Buenos Aires. That letter was later quoted in an ATFA ad. As it turns out, Kirk has received more than 95,000 dollars from employees of Singer’s firm, Elliott Management, according to the Centre for Responsive Politics. Indeed, many letters expressing concern about Argentina’s ties to Iran appear are signed by lawmakers who have received campaign cash from Singer and his close associates. “Rewarding Argentina’s decision to flout well-established international principles regarding the orderly restructuring of sovereign debt has clearly emboldened its leaders to defy other international norms with impunity,” the 12 lawmakers wrote. Those who signed the letter received more than 200,000 dollars last year from companies and PACs tied to Singer. One signer, Congressman Michael Grimm, a New York Republican on the House Financial Services Committee, was reelected to Congress last year after receiving 38,000 dollars from Elliott Management, nearly twice as much as his next largest donor. Grimm has cosponsored legislation demanding “full compensation” for Argentina’s bondholders – the sponsor of that bill, former Congressman Connie Mack, took in 39,000 dollars from Singer’s company – and has urged the Barack Obama administration to investigate Argentina’s relationship with Iran. ATFA has commended Grimm for his work. In 2008, Singer hosted Supreme Court Justice Clarence Thomas at a fundraiser for the Manhattan Institute. Justice Samuel Alito was the guest of honour at a 2010 fundraiser for the institute. Both justices will be asked to rule on whether the high court should take up the case of Argentina and its holdout bondholders. If the court does choose to weigh in, they could make a rich man even richer. Another lawmaker who signed the letter to Holder is Ileana Ros-Lehtinen, a Florida Republican who chairs the House Foreign Affairs Committee. She accuses the Argentine government of colluding with the Islamic Republic to cover up its alleged role in the AMIA bombing and undermining U.S. interests “by giving Iran a larger footprint in the Western Hemisphere”. Ros-Lehtinen received 108,000 dollars last year from the American Unity PAC. The PAC was founded in 2012 with a one-million-dollar investment from Singer, accounting for more than a third of the group’s budget. Garrett received 35,000 dollars from employees at Elliott Management last year, more than all but one of his other campaign contributors. On Jul. 9, a House subcommittee chaired by South Carolina Republican Jeff Duncan held a hearing entitled “Threat to the Homeland: Iran’s Extending Influence in the Western Hemisphere”, the primary purpose of which was to rebut a recent report from the State Department that said Iran’s influence was on the decline. Duncan received 10,000 dollars in 2012 from the Every Republican is Crucial PAC, which was heavily supported by the executives of Wall Street hedge funds, including Singer. That testimony was followed by a Jul. 11 letter to Secretary of State John Kerry, signed by a bipartisan group of politicians, including Singer-supported lawmakers Duncan and Grimm. The letter, which warned that “Argentina may be seeking to aid Iran’s illicit nuclear weapons programme,” urged the secretary to weigh the Fernández government’s “ties with the world’s leading sponsor of terrorism” when considering whether the State Department will side with Argentina in its legal battle with U.S. hedge funds. Farah, whose testimony was cited in the letter, wrote a Jun. 26 column for the Miami Herald in which he referred to Argentina’s “increasingly cozy relationship with the ayatollahs,” citing the 2012 Nisman report to claim Iran is using the country as a base from which to conduct intelligence and terror operations with the ultimate goal of “exporting the Iranian revolution”. The column also asserts that the president-elect of Iran “would have been infinitely familiar with the planning” of the 1994 AMIA bombing, a claim echoed by other right-wing pundits but which Nisman himself rejected a day before the column was published. The column was co-authored by Mark Dubowitz, executive director of the Foundation for Defence of Democracies (FDD), a neoconservative think tank that has been highly critical of Argentina’s relations with Iran. This year, FDD and its analysts have published more than a half-dozen such critiques. “Why is Argentina letting Iran examine the 1994 AMIA bombing in Buenos Aires, a crime Hezbollah surely committed?” asked Lee Smith, an editor at The Weekly Standard and fellow at FDD, in a column for Tablet magazine. In The Atlantic, FDD’s vice president of research, Jonathan Schanzer, explored the “dark connections between Argentina’s government and Tehran”. Since 2008, Singer has given FDD at least 3.6 million dollars, according to a 2011 tax filing seen by IPS. FDD is but one of many neoconservative organisations with ties to Singer. Since there aren’t that many neoconservatives to begin with, those who don’t recoil at the label all tend to know each other – and serve on each other’s boards. William Kristol, publisher of The Weekly Standard, serves on the board of the Singer-funded FDD, as well as the Manhattan Institute, a New York think tank that advocates hands-off capitalism and an interventionist military policy; Singer is the chairman of the institute’s board. In the small world of neoconservative politics, even when there aren’t necessarily financial ties, everyone still knows each other. Still, there are usually financial ties. In March, Roger Noriega, another former Bush administration official, wrote a piece with José Cárdenas – another Bush official who now works at Noriega’s consulting firm – calling on the U.S. government to hold Argentina accountable “for its failures to abide by its obligations to international financial institutions” and “troubling alliances with rogue governments”. The piece was published by the American Enterprise Institute (AEI), an influential neoconservative think tank in Washington. Noriega has been paid at least 60,000 dollars (in 2007) by Elliott Management to lobby on the issue of “Sovereign Debt Owed to a U.S. Company.” A tax filing that was mistakenly disclosed and reported on by The Nation shows that the publisher of Noriega’s piece, AEI, received 1.1 million dollars from Singer in 2009. Filings for subsequent years have not been made public. Asked to comment, an AEI spokesperson told IPS that the think tank had “looked into the matter” and found Noriega “has no conflicts of interest in this regard”. The other people and organisations named in this article did not respond to requests for comment. Singer has used his riches the way a lot of other wealthy people do: to get richer, of course, but also to promote what he believes – and fund the politicians and pundits who will promote it too. At the very least, those who benefit from his generosity are going to think twice about opposing his interests; one doesn’t bite the hand that feeds. Some may even see the money they receive from Singer as a reason to actively promote his interests. One thing is clear: no matter how his case against Argentina turns out, Paul Singer is going to be a very rich and powerful man. If he wins, though, he will be richer. And money in the United States means the power to shape the debate not just on financial matters, but war and peace. What if Israel, not trusting the U.S., forms an alliance with arch enemy Saudi Arabia to attack Iran’s nuclear facilities? Have you ever seen a future so dark, so frightening that you want to run, yet you can’t turn your eyes away from it? Read The Bahrain Protocol now at Kindle — a screaming thriller launched at the epicenter of Israel’s fears, Iran’s ambitions, and U.S. uncertainty. it’s a mind blower!